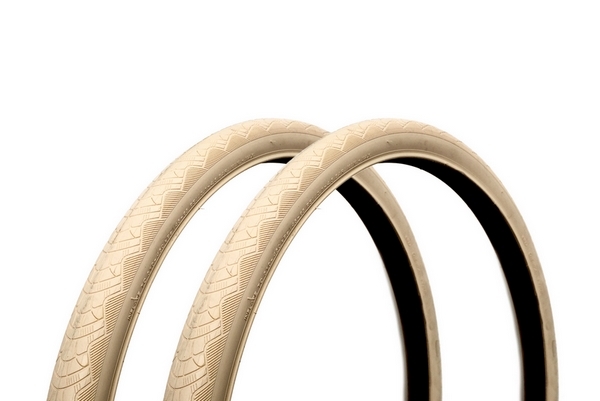 We believe The Zeppelin is the best tyre our Lekker Riders can find in term of comfort. This premium quality tyre is not only strong: being wider and larger than most tyres, it allows a very well-balanced, comfortable ride. The Zeppelin also provides the suspension itself, as it runs more air volume in the tyre than its competitors. It is a fantastic contribution to the stability of its rider while on the bike. This product is getting more and more popular amongst laid back riders who are looking for an ideal set of tyres to cycle more easily through the hustle of the city. 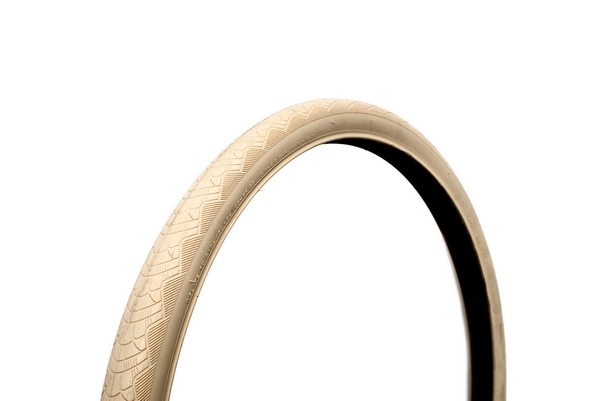 The Zeppelin tyre has been designed to fit our Jordaan and E-Jordaan Lekker Bikes models, and it comes in two colours: Brown and Creamy White. Note: Price is for a single tyre, the Zeppelin does not come as a set.